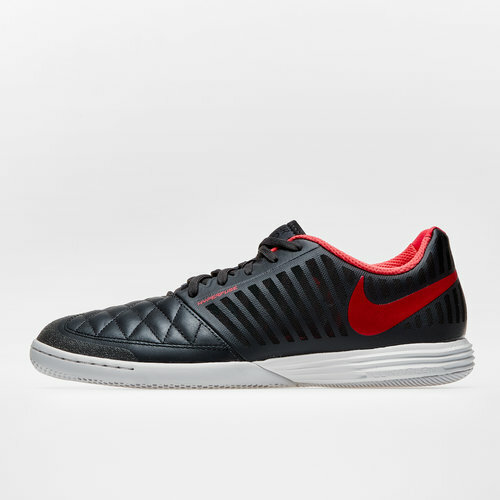 If you're taking to your game from the streets to the court then these Nike LunarGato II IC Football Trainers in Anthracite, Platinum Tint, Black and Ember Glow are the ones for you. These Nike football shoes are ideal for the small-sided games with a goat leather at the forefoot creating a smooth, natural feel and precision in strikes. The Lunarion cushioning and articulated traction pattern create a springy, responsive ride and quick cuts on indoor surfaces.